Sunday shipping and letter delivery is something that has always been as controversial as it is necessary. Birthdays, holidays and other delivery-related situations fall on Sundays and thus require a reliable parcel and letter delivery service. Many people believe that Sunday is supposed to be the universal day of rest, and others believe the day is Saturday. Popularity won the battle and left many businesses with closed doors on Sundays. The USPS has had its ups and downs with Sunday service over the years, but now offers USPS Sunday delivery under certain circumstances. The USPS usually operates during weekdays with a few hours on Saturday. 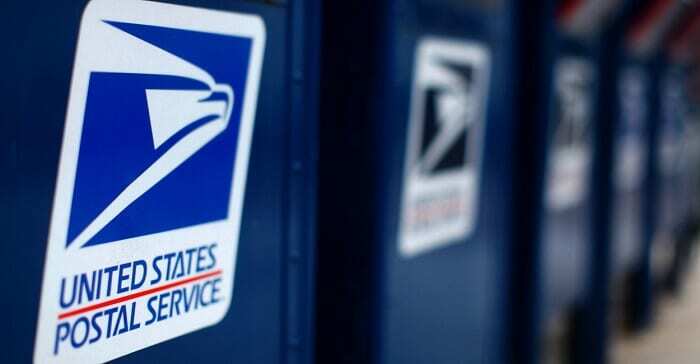 The United States Postal Service first opened its doors in 1971, but people have been delivering mail throughout the United States since the 1700s. The USPS offers a wide variety of services to American citizens. The government entity delivers letters and parcels and sells a wide variety of products in its retail stores. Customers can find shipping supplies such as boxes, tape, bubble wrap and more. Furthermore, consumers can purchase envelopes, stamps and other items that they will need so that they conduct their shipping. The USPS now employs more than 600,000 people. Its headquarters is in Washington, D.C., and it collects more than $67 billion in revenue each year that it does business. Despite its high revenue, the USPS has been struggling for years trying to find ways to increase its business. The USPS Sunday delivery is an excellent financial growth strategy because it provides service when other companies do not. The United States Postal Service delivers in all 50 states of the United States. The company also delivers letters and packages to other countries such as Canada, Germany, Australia, New Zealand, Malaysia, Switzerland, Turkey, Spain, Israel and many more countries. Customers may have to complete customs forms, and some countries may not provide tracking information on the shipments. Additionally, some items are not eligible for international shipping. Some of the items that consumers cannot send to other countries are items such as cigars, medications, lithium batteries, medical devices and the like. Other than that, the USPS may be able to work it out. Delivery times for items vary according to the shipping method the customer chooses. Standard or ground is the absolute slowest form of mail delivery one can choose. Such a delivery can take up to eight business days to get to a person. First Class is a little bit faster and may get to the person in three days. Priority mail generally takes two to three business days, but items may arrive quicker if the sender lives in the same state as the recipient. Priority Mail Express is a special service for people who would like their mail to get to the other party overnight. Mail should arrive by 5 p.m. on any given delivery day. However, some circumstances could cause that to fail to occur. Examples are high mail volume, staff shortage or emergency. The USPS offers USPS Sunday delivery service to Amazon.com customers in certain cities. Those cities include cities such as Waco, Houston and San Antonio, Texas. Other cities that the service is available for are cities such as New York, Los Angeles, Cincinnati, Oklahoma and Philadelphia. Many more cities are on the Sunday delivery map by now. The previously mentioned are just a few that are on the list. USPS also offers USPS Sunday delivery during certain holidays. The most common zip codes where people can receive their mail and shipments on Sundays are zip codes such as zip code 90056, 62627 and 71439. An extensive list of locations that can receive USPS Sunday delivery and holiday mail is online. To receive this special benefit, customers must use the Priority Mail Express service. additional. Priority mail prices can get expensive depending on the size of the package. A letter costs less than $6-$7 to send by Priority Mail. A small flat rate box is $6.80. A medium box is $13.45, and a large box is $18.45. Priority Mail Express is $22.95 for all sizes of letters. Interested persons must check on the prices for large boxes. The United States Postal Service has always offered a vast assortment of convenient delivery services as well as a large number of the products and services that people needed. They just recently started offering Sunday services to Amazon customers and to holiday consumers. The idea was to provide the community with some options for getting gifts and letters to loved ones in time. Amazon decided to offer the service to its customers to increase its profits. It’s a smart move for both companies because they will both receive more clients and profits that they ever imagined. Customers appreciate a provider who is willing to go above and beyond the call of duty to ensure that they have what they need. Anyone who needs Sunday shipping or special delivery can contact the local post office or check the list to see if his or her town is on it. The USPS website has a highly convenient tool that customers can use to find the exact address and phone number of the site they wish to visit or see for services. Hey Buddy!, I found this information for you: "USPS Sunday Delivery 101: Areas, Hours, Fees". Here is the website link: https://all2door.com/usps-sunday-delivery/. Thank you.